Avenged Sevenfold News: Great White's Michael Lardie: "There are so many bands, like Avenged Sevenfold, that do that type of really heavy stuff and..."
Great White's Michael Lardie: "There are so many bands, like Avenged Sevenfold, that do that type of really heavy stuff and..."
I’d like to see that though, just to see how it would play out. [Laughs] Great band. 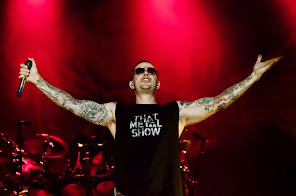 There are so many bands, like Avenged Sevenfold, that do that type of really heavy stuff and you know, it would be interesting to take a stab at it to see what it would sound like, but at the same time, our fanbase is such that they expect us to do bluesy rock and roll.